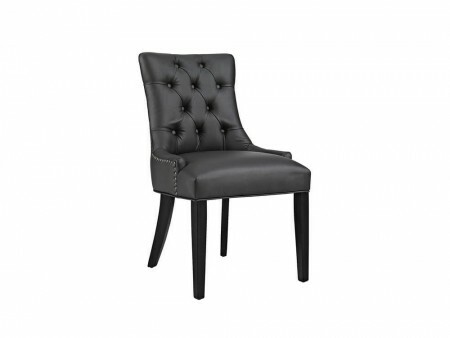 The Jet chair inspires sophistication with its nailhead trim and tufted accent. 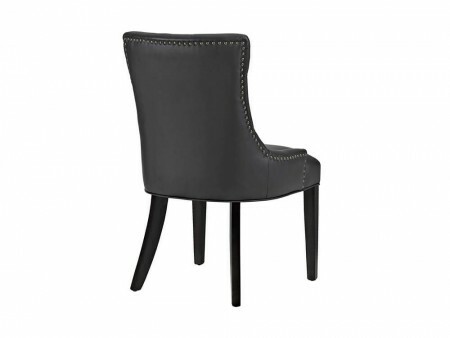 It is beautifully constructed with webbing and springs to prevent sagging, generously padded foam, and wood legs with non-marking caps. 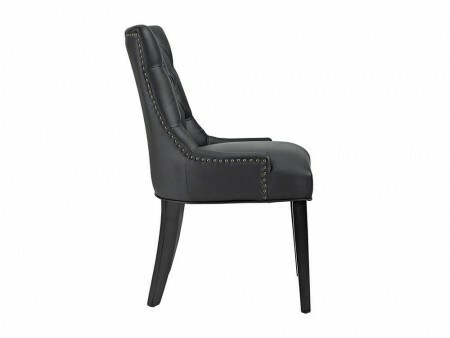 It delivers a premium seating experience.The upholstery is a smooth vinyl and has wooden legs. It has a delicate hourglass shape that brings style to your entertaining. 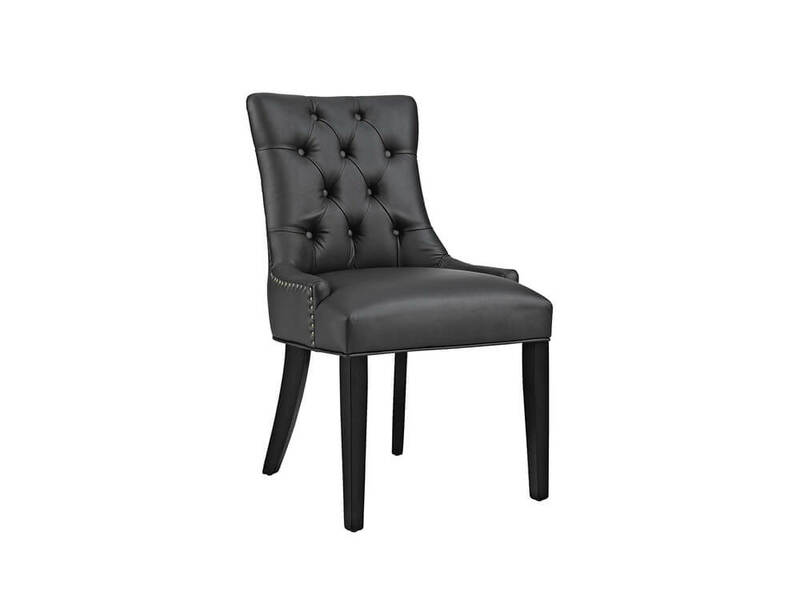 The Jet chair can be your home office chair or a luxurious dining chair.